Delivering ultra-scalable big data management systems: NoSQL key-value data store, a distributed CEP system, and a distributed SQL query engine. Providing an integrated big data platform to avoid the inefficiencies and delays introduced by current ETL-based integration approaches of disparate technologies. DKMS contribution: The lab will participate in the design and implementation of real world use cases for LeanBigData validation. In particular, will contribute in the architecture and design of different components for the social network use case. 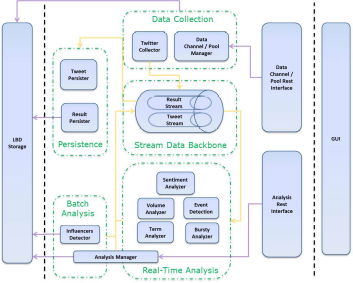 The lab having extensive experience in algorithm research will contribute advanced algorithms for social network analytics and will integrate them in the social network use case validating the LeanBigData technologies and platform.